If it wasn’t obvious to any followers, if follow they still do, I have wandered away from Second Life. I’m just confirming that. I still have my account, a free one, having given up the paid account quite a while ago, and I’ve gone in a couple of times in recent months, only to be dismayed by the ongoing slow rezzing and the occasional crashing. I have a good computer, so I can only guess how frustrating this continues to be for people with lesser machines. I’ve been retired from education for almost two years, so I don’t have that motivation anymore. I tried valiantly to persuade faculty and administration at two colleges that virtual worlds were worthwhile, at least in some fields, but the truth is these institutions purchase the cheapest technology they can for faculty, and can’t guarantee what technology their students have. I’m sure there are a few wealthy schools out there; I didn’t work at those institutions. There have been attempts by a few virtual worlds to use mobile apps or web browsers, but I hadn’t seen that successfully done before I retired. 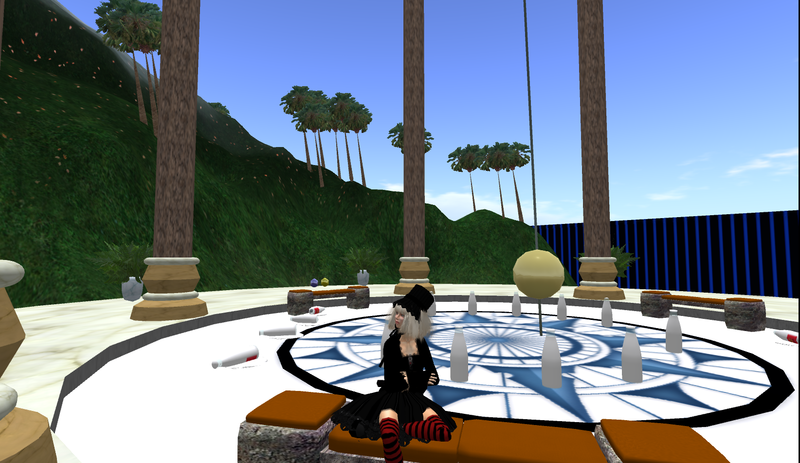 I visited many beautiful places in Second Life and I know from others’ blogs that many more still exist, but I’m hanging up my avatar and teleporting off to nowhere. For you, that means I will not be writing here anymore, but please wander around and enjoy anything I’ve written in the past. I hope I remember to go. Now under way, and running through until Sunday, August 23rd, is LoveFest, the annual H. P Lovecraft Festival. Timed to coincide with the 125th anniversary of Lovecraft’s birth (August 20th), the festival has been organised by the HP Lovecraft Roleplay (and more) Group of Second Life (HPL RPG), and once again features the Autism National Committee (AutCom) of the United States as its charity.